Collaboration is integral to the work done by foundations and nonprofits. This is especially true for boards of directors tasked with working together to guide organizations — but when board members and staff are spread across multiple offices or geographic locations, collaboration is not as easy as sitting around a conference room table. Whether voting on proposed budgets, preparing financial documents or recommendations for upcoming meetings, or evaluating pending grant proposals, sharing documents by email or participating in conference calls is sometimes not enough. Software can bridge the distance and unite dispersed collaborators by making it easy to present, review, and comment on information. Some tools are designed for more general collaboration and can be tailored to meet the more specific needs of a board. Others are purpose-built for the board environment. Choosing the right one is a matter of requirements and budget. We talked to a number of board members, nonprofit staffers who support them, and consultants in the field to find out what to consider when reviewing tools for board collaboration. Here’s what we learned. The needs of every board might vary, but many share a number of tasks and requirements. Whether your organization is creating a makeshift solution using existing software (such as a project management system or shared calendars) or shopping for dedicated board portal software, these are the minimum features you will need. Creating board books and other meeting documents: Assembling a board book and related meeting materials is among the most important roles of a board collaboration tool. Because you may need to create, upload, and organize hundreds of documents for every board meeting, it’s essential that the system make this process as smooth and practical as possible. You can compile multiple documents and assign page numbers and a table of contents in a number of tools, including Microsoft Word and Adobe Acrobat, but these require more user involvement and effort. Some dedicated board portals facilitate this task by letting you upload all the documents at once, in order, for automatic assembly—including page numbers and, in some tools, hyperlinked tables of contents. Depending on who is involved in creating board books—organization staff, the board secretary, committee chairs—you may want to be able to assign specific documents to be created and compiled by specific individuals as well as due dates for completion. 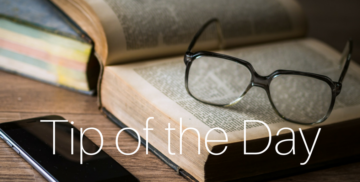 Some of the more feature-rich (and expensive) board portals provide dedicated editorial workflows for meeting documents, including rounds of approval and automatic notifications. Others even provide “security” features by allowing you to restrict access to books by individual users or groups and only letting board members read the final versions. Board members also need access to—and the ability to edit and upload—other materials, including by-laws, meeting minutes, and policies, for example. A good collaboration system will allow for easy organization in multiple folders, and in some cases, let you restrict access to certain folders by individuals or groups. Sharing and accessing meeting documents: A lot of work goes into creating board books and other materials—making it easy and intuitive for board members to read those documents is essential. In addition, they need to be able to annotate or mark-up meeting documents, highlight or strike-through text, and write notes or comments. Documents should also be easy to search through and navigate. Creating a PDF is the most straightforward way to do this. PDFs even allow for some annotating and searching. But dedicated tools offer streamlined, user-friendly apps for tablets and other mobile devices that allow users to easily read and annotate documents. In fact, because so many corporate and foundation boards have begun using tablets, a lot of design work has gone into these apps, making them easier to use than desktop or web interfaces. However, some board members may want to the ability to print out hard copies of documents, so it’s important to make sure that documents can use the same formatting and images in both print and online versions. Sharing and viewing calendars: Board members are busy people. They want to be able to easily see their meeting schedule and RSVP for board and committee meetings. Shared calendar tools such as Google Calendar and Microsoft Outlook do a reasonable job of this. Most board portals include built-in calendar tools. Collaborating as a board or committees: A board collaboration solution should enable members to work together on documents or committee work online. Online chat tools such as Google Chat, HipChat, or Campfire allow for real-time online conversations. More robust systems, including some project management tools and board portals, allow you to capture the work and conversations between board members alongside the documents on which they are collaborating. A dedicated board portal will also support collaboration during meetings using online functionality for official voting and more informal straw polls for decisions that don’t need to be recorded as part of the minutes. More full-featured systems may even include online conferencing functionality for fully virtual meetings, although many boards make do with Skype, Google Hangouts, or another videoconferencing tool. Does your foundation or organization need a dedicated board portal? Or, can you make do with a combination of other systems, many of which you might already use? Let’s take a look at the different options available to you. For smaller organizations, dedicated board collaboration tools are not likely to be practical or affordable. 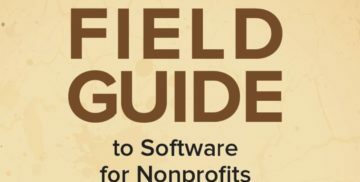 At the low-end of the scale for both functionality and cost, these nonprofits and smaller foundations can create their own collaboration solution using a combination of file sharing systems, Google Docs, project management tools, shared calendars, and online chat or conferencing tools. This sort of makeshift solution can be a great way to get started quickly, or to meet less-complex needs, but doesn’t provide as many features. It can also be a barrier to use for board members to have to learn and adapt to multiple tools. An online cloud storage service allows you to share files with individuals outside your office. Many organizations with multiple locations or distributed staff already use these tools. Dropbox and Box.com provide file storage and sharing. Both systems are similar in layout and functionality, with simple interfaces and mobile support useful for organizations whose board members have a varying degrees of comfort with technology. Both have apps that allow for easy file access from mobile devices, but Box.com lets users save files for offline viewing while Dropbox requires exporting files to another app to make them available for offline viewing. Dropbox integrates with Microsoft Office apps, making it possible to open and edit files on mobile devices. Both systems provide basic sharing capabilities with their free plans and more granular permissions and security controls, with paid plans that include the ability for administrators to restrict access to certain documents and folders. Individuals receive 2GB of free storage space with Dropbox and 10GB with Box.com. Dropbox offers expanded storage plans at a cost of $9.99 per month for 1TB of space or $15 per user per month for unlimited storage space, with a discount to nonprofits. Box.com offers 10 free starter licenses for its paid services to eligible nonprofits through its Box.org philanthropic arm (http://box.org). Google provides a variety of tools that, used together, can meet many of the needs of board members. Documents can be shared using Google Drive, meetings and deadlines can be shared using Google Calendar, discussions can be facilitated through Google Groups, online votes and surveys can be set up through Google Forms, and all these links can be collected and accessed on a web page created in Google Sites. The Google Drive mobile app also allows for offline access of selected files, enabling board members to download documents to their devices for review. Most Google services are free and Google has an excellent program for nonprofits that provides free access to the Google Apps suite. However, this approach poses challenges. Using so many different tools means staff members have to manually create and compile all board items. And while access to certain files or folders can be restricted, the security is not as robust as what’s available through paid collaboration tools. Less tech-savvy users might get frustrated with the need for multiple tools, as well. General project management tools incorporate basic project planning, document sharing, task management, shared calendars, and online discussion boards into a single system. These web-based tools are particularly useful for geographically diverse teams or teams that include members from outside the organization. They offer a lot of structure—users upload documents, and people can comment on them or build shared task lists or calendars, for example. While some project management systems are primarily focused on workflow and scheduling, several options can function well as board collaboration tools. Huddle is a tool that bridges the gap between file sharing services and more full-featured project management solutions. Admins can upload files to secure workspaces where board members can review and comment on them. The software includes a robust task management tool, workspace calendars, whiteboards for shared notes, granular sharing and privacy controls, and mobile apps for iPad, iPhone and Android devices. TechSoup offers donated Huddle packages (subject to a $125 administrative fee) to selected nonprofits based on a set of eligibility criteria outlined on its website. This package provides access to the Workgroup edition of the software for up to 25 users. Standard pricing is $20 per user per month. Basecamp is one of the most widely-used online project management tools and provides an intuitive interface and thoughtful email integration that allows individuals with varying levels of technological comfort to use the system. Admins can upload documents for board members to review and add comments, create calendars with meetings and due dates, assign tasks, and notify users when new content is added to the system. Board members can choose to receive emails when updates are made to the project and can share their comments by email rather than logging in—Basecamp will automatically add those comments to the project. There are apps for a wide range of mobile devices, as well as many third-party integrations to extend the tool’s functionality. Pricing is based on the number of active projects, and supports unlimited users. The tool is free for one active project, and the paid version starts at $25 per month for 10 active projects and 3GB of storage, which translates to $300 per year. Sharepoint inspires strong feelings among users—both positive and negative—but continues to be a popular tool for document storage and sharing. It can be put to use for board collaboration purposes as well. Numerous nonprofits already use the tool for internal collaboration, but the web-based Sharepoint Online offering opens up Sharepoint’s many features to organizations that do not have the resources to implement and maintain a Sharepoint server. The tool is definitely worth considering for board collaboration purposes if it is already implemented within an organization. Admins can post documents for board members to view, edit, and download, and can share calendars as well. Access control is very granular, and admins are able to set permissions for each user. Less technologically-savvy board members may be daunted by the tool’s less-than-intuitive interface and learning curve. Sharepoint Online, the web-based version of Microsoft’s popular online collaboration software, costs approximately $600 per year for 10 users, however, organizations may already have Sharepoint server up and running for internal collaboration purposes. While Central Desktop is on the expensive end of online project management and collaboration solutions, users get a great deal of bang for their buck. Admins can post files for review and comment, board members can receive notifications and send comments via email that are captured in the system, shared calendars are available for project workspaces, and a robust search function can quickly help board members find just what they’re looking for within the documents in the workspace, or even across workspaces. Central Desktop offers mobile apps for Android and iPhone/iPad devices, as well as a mobile-optimized site. Granular security and access control is available to admins, as well as the ability to make content or folders viewable only to internal team members. However, with an annual cost that exceeds that of some entry-level board portal software solutions, this may not be the best option for organizations not already taking advantage of the system’s workflow and project management features. In order to allow external users to access Central Desktop workspaces, organizations need to use the Central Desktop Premier package, which is $25 per user per month, or approximately $3,000 for 10 users over the course of a year. This is by no means an exhaustive list. Many other project management tools can also be used to share calendars and documents with board members, capture discussions and allow for collaboration. New solutions such as Trello provide incredibly simple user interfaces, with drag and drop functionality. Other project management solutions, such as Teamwork Project and LiquidPlanner, integrate with external sites such as Dropbox, Box.com, Google Drive, and Salesforce. Board portals are tools designed specifically to help staff manage and create documents, and to help board members share, read, and annotate board books and other meeting documents through a user-friendly interface. As most of these tools originated in the for-profit sector and are designed for banks and corporate boards subject to stringent regulations, they are first and foremost secure. In the past few years, prices have come down, drawing interest from the nonprofit sector. Vendors have responded by adapting to better meet the needs of nonprofit boards. However, the tools remain expensive for foundations on a tight budget or all but the largest nonprofit organizations. Almost all provide streamlined, easy-to-use interfaces for tablets (primarily iPads) and robust permission and security settings. Many provide chat and notification functionality to allow board members to discuss duties and collaborate on meeting documents within the system. Few, however, provide built-in online conferencing or other presentation tools. Board members who cannot attend meetings in person will have to seek third-party conferencing tools. Better-featured systems let you create multiple user workgroups or permissions to restrict access to specific documents by individual or group. Some will determine pricing by number of committees. Other pricing considerations include online storage space for documents, the number of total users, the number of administrators, and one-time implementation fees. BoardPaq is an easy-to-use tool providing strong support for basic needs such as document management and creating and sharing meeting documents. The system allows admin users to publish board books piecemeal, notifying board members in the system as more documents are added. Pricing starts at $1,188 a year for up to 15 users for 501(c)(3) nonprofits. Two-factor authentication is available for more robust security at an additional cost of $30 per month. Passageways OnBoard provides a streamlined, easy-to-use platform with solid functionality for creating and reading board books and other meeting documents on both the iPad app and web interface. Creating a board book is straightforward and intuitive. The functionality for official votes in a meeting is prominently located and easy enough to set up on-the-fly, but you’ll need a third-party tool to create and conduct a survey or self-assessment of board members. The system costs $1,250 per year for up to 11 users, including support, training, and unlimited data. There is also an initial implementation fee of $500 after the nonprofit discount. BoardEffect provides solid support for creating and managing board books and other meeting documents with an easy-to-use and intuitive iPad interface that allows board members to read and annotate documents. Admin users can create multiple layout templates for board books, which is particularly useful for organizations with more than one board or that need substantially different materials for different committees. However, it may be tedious to create board books with a large number of documents—for example, grant summaries or proposals needing board review—as you can only upload up to 10 documents at a time through the drag-and-drop interface and uploading documents to specific sections may need several steps or screens. Pricing starts at $6,000 a year for up to 20 users, including support, training, and unlimited data. Diligent Boardbooks provides solid functionality for organizations that need granular permission settings or editorial controls over their meeting documents. The system provides robust workflow for board books, including automated notifications for internal review and a multi-step approval process that allows directors to add notes on what needs to change for approval. Apps are available for both iPad and Windows 8.1, but the online interface—designed to resemble a physical notebook—is straightforward but dated. The voting functionality for official board votes is well thought-out, allowing board members to add electronic signatures to approve specific documents. However, an admin user must add a signature block for each voting board member, making this feature less-well-suited for spontaneous votes or informal straw polls. Pricing starts at around $1,000 per year. Boardvantage provides solid support for creating and managing board books and other meeting documents. The easy-to-use interface allows mobile users to read and annotate documents, access annotations across a variety of devices, and share annotations with other system users. Creating a board book is a straightforward process, and while the tool makes it simple to upload a variety of documents to include in a board book, linking the documents to an agenda or table of contents is a more manual process. The tool makes it easy to replace documents with updated versions, and Word, Excel and PowerPoint documents can be edited within the system. Boardvantage’s “Present” mode in the Meetings module allows for online conferencing so that presenters can guide meeting participants’ views of meeting materials. It also enables online discussions within meetings. For pricing information, contact the vendor. The tools listed here are only the tip of the iceberg of the board portals market. Organizations looking for lower-cost options might also consider other tools in this space, such as MyCommittee, which starts at $228 per year for unlimited users, two committees, and 200 MB of storage, or BoardMax from StreamLink Software. Foundations with larger, more geographically-dispersed boards or that need more comprehensive feature-sets should consider Director’s Desk, which costs approximately $21,000 per year for 75 users, or Accelus BoardLink (contact vendor for pricing). Ultimately, the board collaboration solution you choose will be determined largely by budget and by how well it meets your needs. Dedicated board portal systems will be out of reach for most small nonprofits, but large organizations and foundations may still find themselves needing to make use of more than one tool to accomplish their board meeting goals, as very few board portals can be considered all-in-one solutions. That’s not to say that an all-in-one tool for board collaboration is necessary, or even desirable. Every organization’s needs are different. Picking and choosing the individual software that best meets your needs presents the opportunity to customize a solution to your particular demands and budget. The true challenge of any board collaboration solution is adoption. The system you implement can only be useful if your board members like to use it. Adoption should be considered when selecting and reviewing tools. When implementing a solution, allow time for board members to get familiar with the system and to develop the habit of using it.